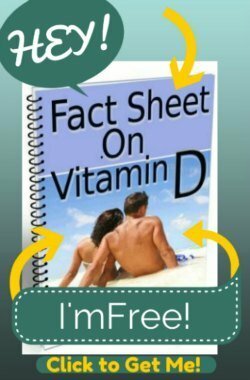 Get REAL information about Side Effects that are important to YOU! If you're about to take a new prescription drug, herbal supplement, vaccine or vitamin supplement- you should find out what problems you could experience first. 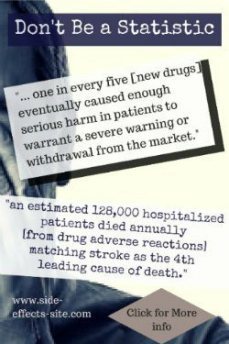 Don't wait until you HAVE an adverse drug reaction before you get this important information. 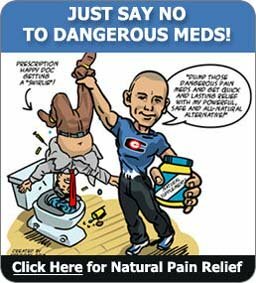 If you just started taking a medicine or drug your doctor prescribed and all of a sudden, you're having problems that you were not expecting (and aren't liking) FIND OUT MORE ABOUT THAT DRUG! If you've been taking prescription medications for years and are starting to experience adverse drug reactions, FIND OUT IF YOUR MEDICATION COULD BE CAUSING IT. 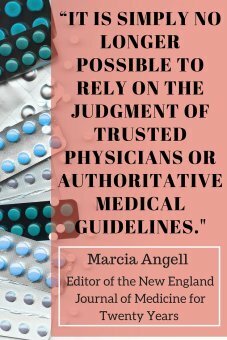 Just because the FDA says something is safe, doesn't necessarily mean that it is- case in point are the Quinolone Antibiotics. This class of antibiotics has had more than 7 drugs removed from the market after harming thousands of people. And the ones that are left continue to cause major damage to people around the world. Don't risk it. We look at the actual research, the actual numbers, and give you the facts. EVERY substance can cause problems- some are important and some are not. In fact, there are such serious side effects to drugs that a recent Harvard study indicted the pharmaceutical industries and the FDA for massive corruption. For Harvard University to say this, you know that it's a serious problem! have experienced a serious adverse reaction. of hospitals would significantly increase the totals." Other sites that talk about Adverse Drug Reactions (ADR's) are often run by drug companies who stand to benefit by confusing you. They are required to tell you about every problem their product could cause. And often that means giving you a LONG list of problems that just aren't going to mean anything to most people. That can DESTROY your quality of life, but that your doctor will NOT warn you about ahead of time. These are the IMPORTANT problems to you and not the tons and tons of lists of side effects that most people will never experience. In fact, we won't mention most of the adverse reactions at all. If you want to know about problems like nausea and dry mouth, then you can read about them on the Common Side Effects page. We're more interested in the dangerous, life-changing and Uncommon Side Effects that no one is going to warn you about. Well, we will! AND we provide SOLUTIONS to these problems. What you REALLY want are solutions! You want them, we have them!